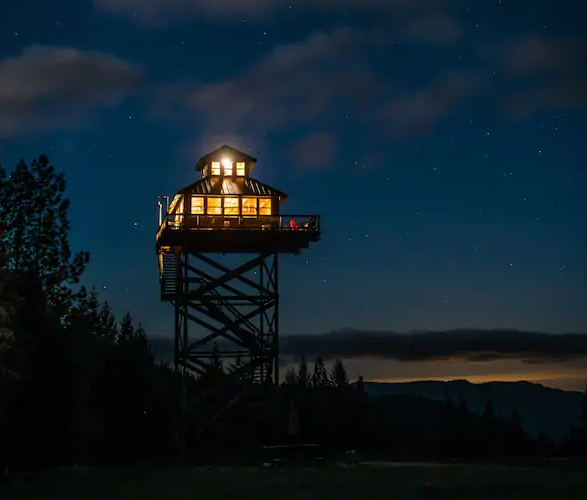 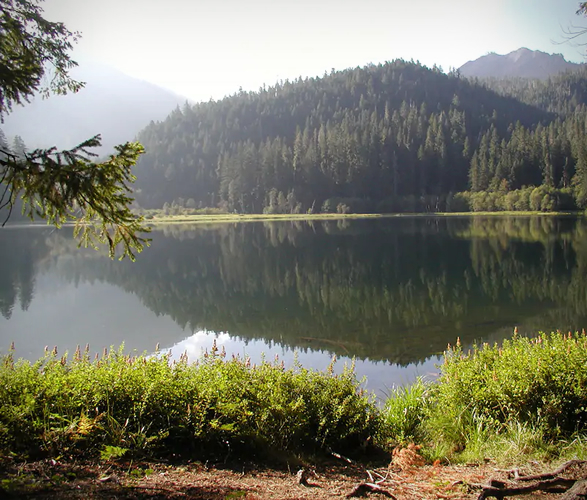 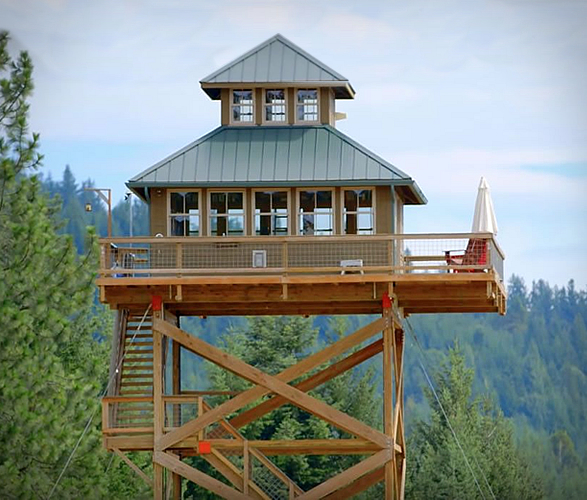 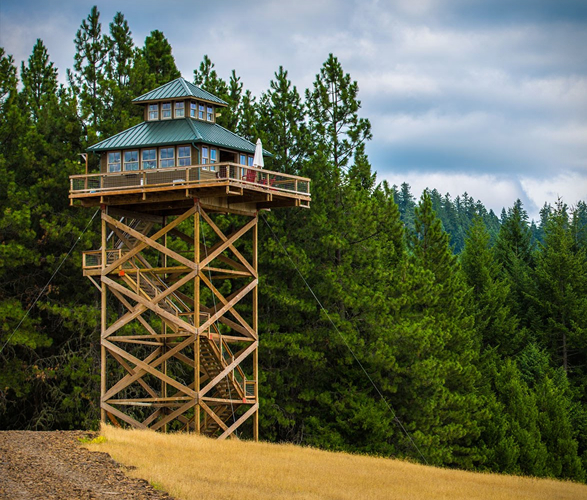 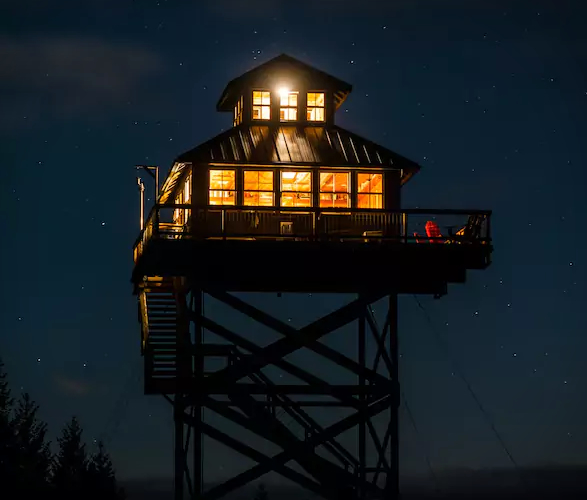 Fire lookout towers are gorgeous, historic and incredibly popular for those who really want a taste of solitary living. 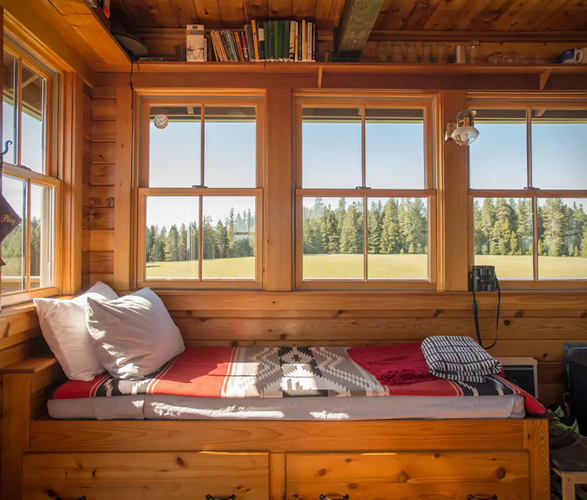 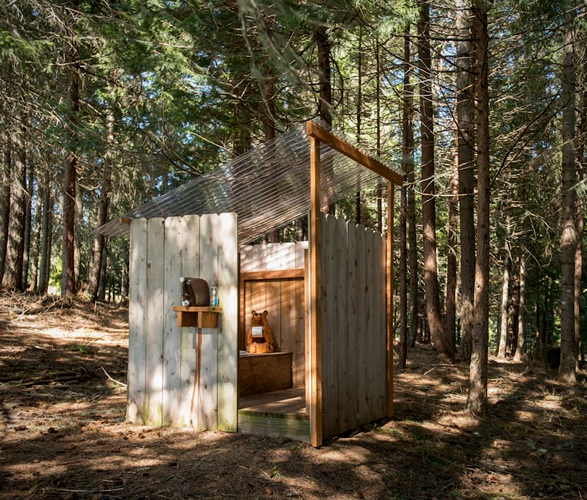 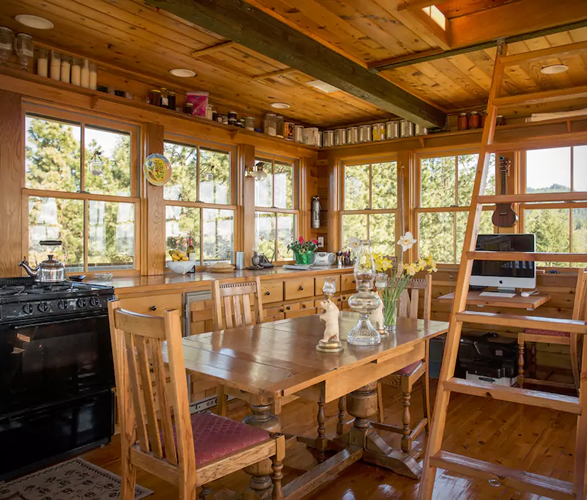 This is an elevated tiny cabin that is completely off-grid atop a 40-acre meadow on 160 acres of private land. 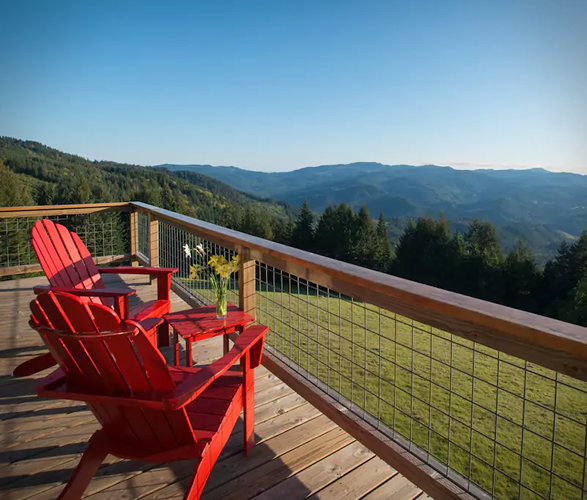 Surrounded by the Umpqua National Forest in Douglas County, Oregon, the gorgeous retreat was enhanced with modern essentials. 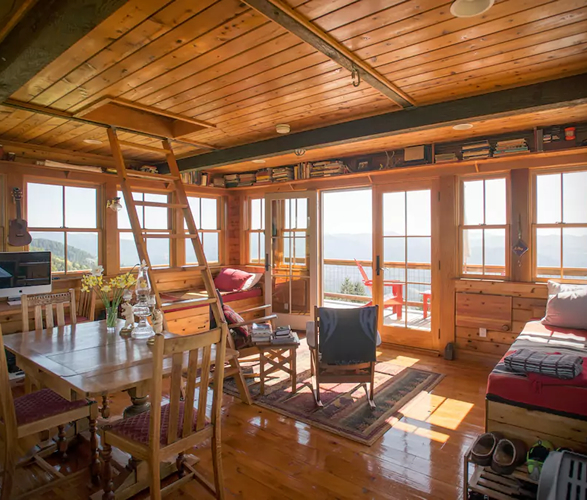 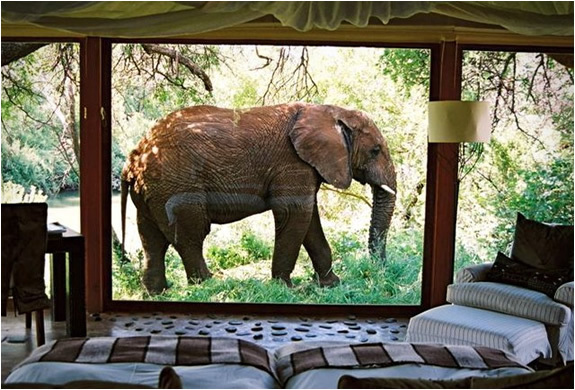 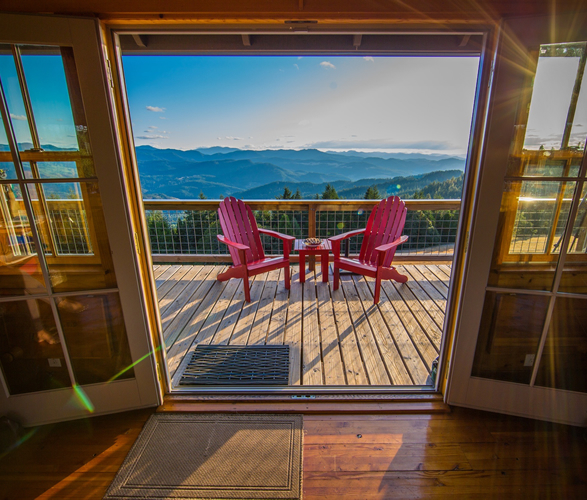 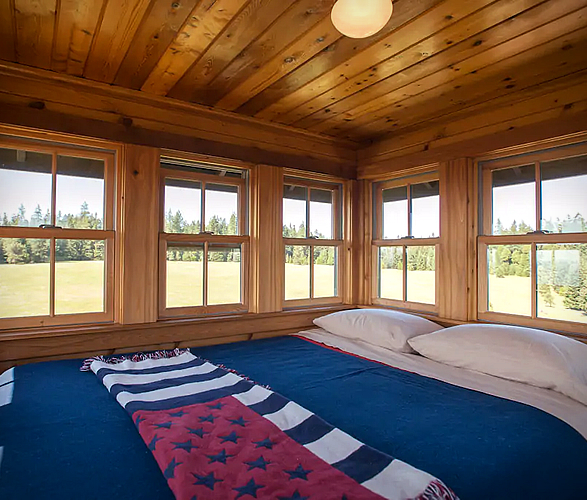 Guests will find an open-concept home with everything in the main room including two twin beds, a desk with a computer, a full kitchen, propane stove, refrigerator, heater and lamps, exterior shower, and windows all around to let in summer breezes and breath-taking views. 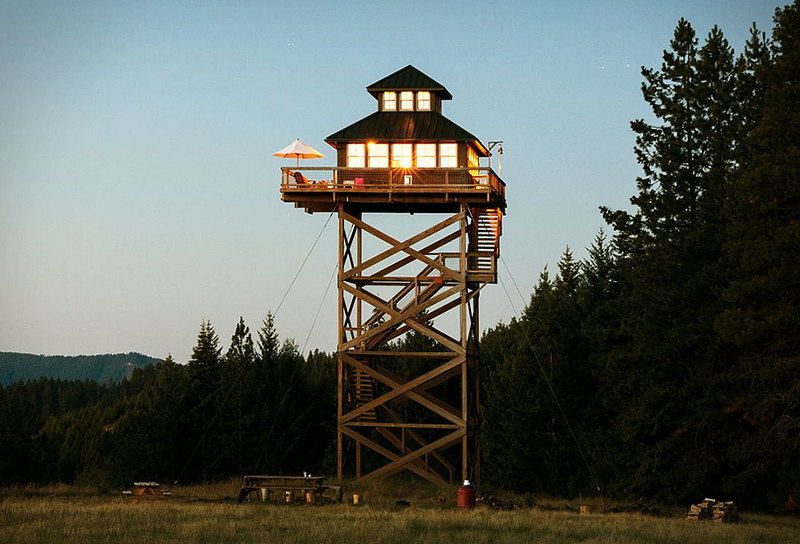 Take the ladder to the second floor where there is a queen sized loft bed. 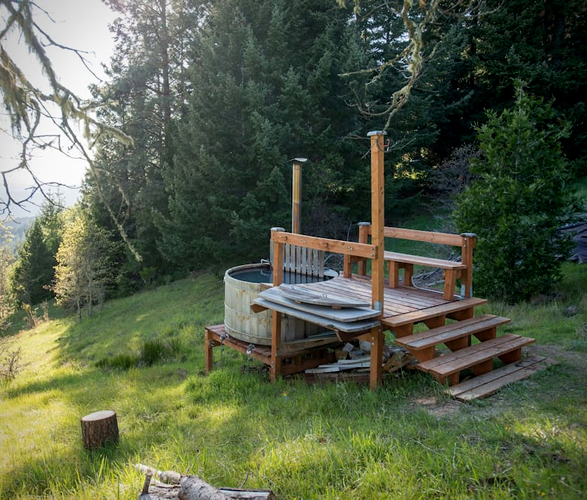 You can even soak your cares away and relax in a secluded wood-fired, spring-fed hot tub.